Our take on the perfect Namibian honeymoon offers newlyweds the chance to explore Namibia from the skies, stopping en-route to track rare desert-adapted elephants in Damaraland, climb the world’s highest sand dunes in Sossusvlei, enjoy romantic hot air balloon rides over the NamibRand Nature Reserve and discover some of the world’s oldest bushman paintings (not to mention take part in wildlife safaris, boat trips and 4×4 adventures) whilst staying in a variety of intimate luxury lodges. 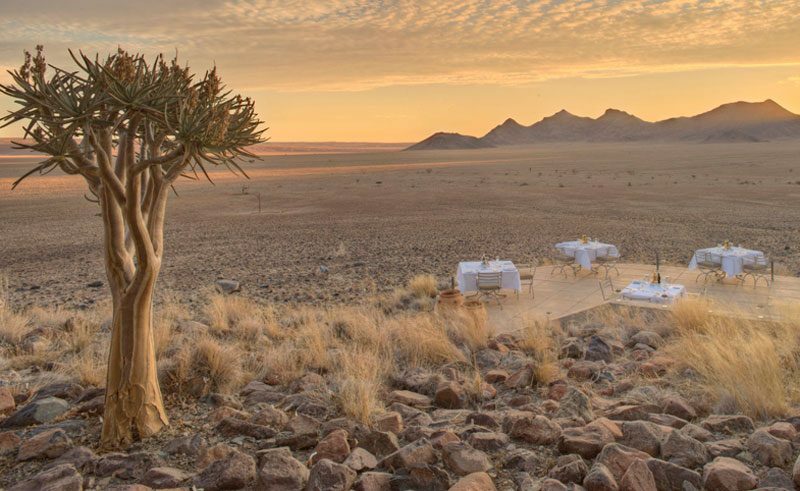 The fly-in safari starts with three nights at the stylish Sossusvslei Desert Lodge, ideally positioned to discover the scenic NamibRand Nature Reserve, Sossusvlei and the Namib Desert; the oldest desert in the world. This area is an International Dark Sky Reserve and boasts a resident astronomer who offers unparalleled star-gazing workshops. Also available are tours of the Sesriem Canyon and sunrise hot air balloon rides over the NamibRand Nature Reserve; spotting oryx, kudu, springbok and ostrich. 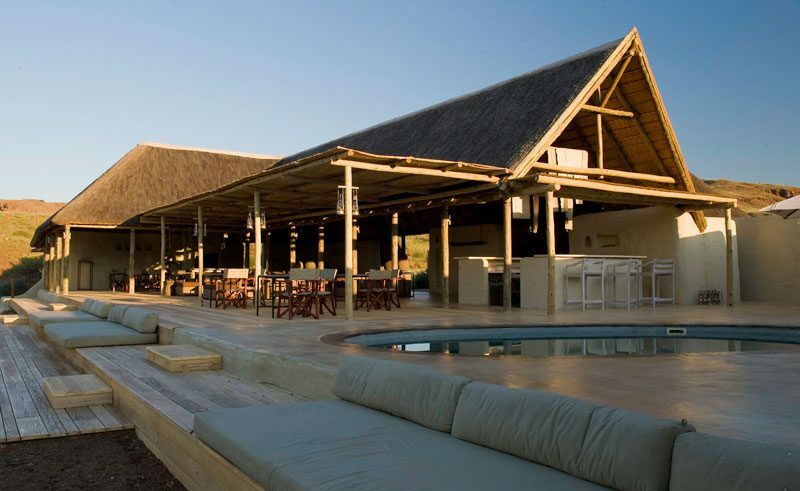 Next, head north for two nights spent at Damaraland Camp for stunning vistas across stark plains and mountains. It’s the perfect spot for conservationists like Harry to search for rare desert elephants (only found in Namibia and Mali) and is also close to the UNESCO World Heritage Site of Twyfelfontein; home to some of the best examples of bushman paintings in Southern Africa. From here, spend two nights at Serra Cafema, one of the most remote camps in Southern Africa, on the banks of the Kunene River in Kaokoland where landscapes are among some of the most dramatic in the country. As well as visiting the epic Epupa Falls, couples can also pay a visit to the semi-nomadic Himba tribe, enjoy river boat trips and traverse sand dunes on thrilling 4×4 safaris. 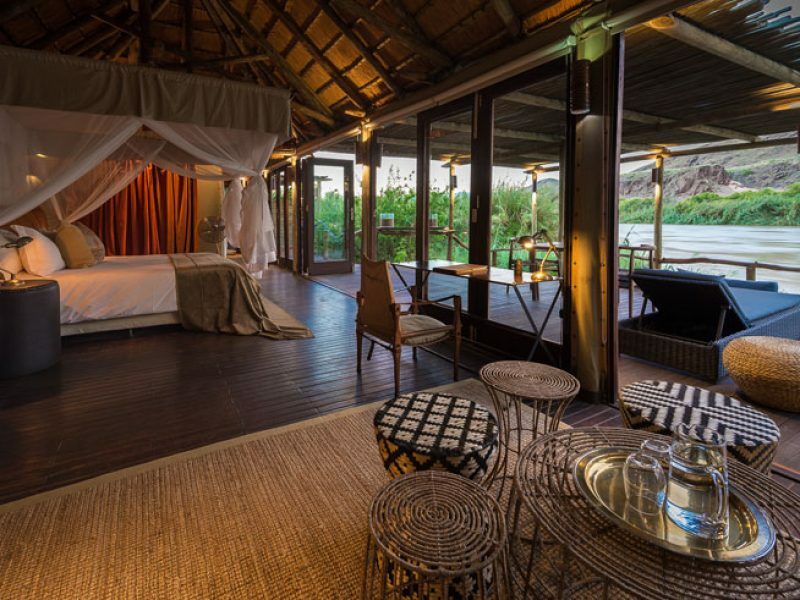 The final stop is the exclusive Little Ongava (featuring only three spacious bungalows) on the private Ongava Reserve. Set off on game drives to explore Etosha National Park, where it isn’t unusual to see herds of over fifty elephants stroll by, before relaxing at the lodge or sitting in the underground hide to watch animals congregate at the nearby waterhole. 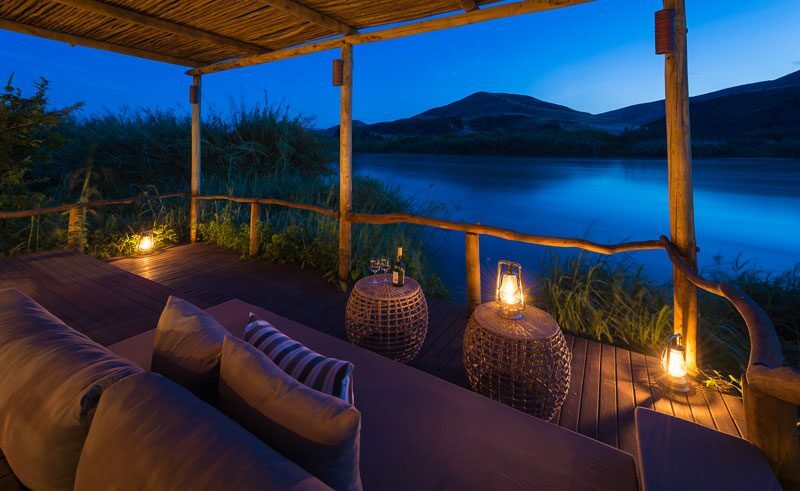 Speak to one of our Travel Specialists today on 01737 214 250, who can arrange any combination of Namibia’s best lodges; perfect for those after a truly indulgent escape.